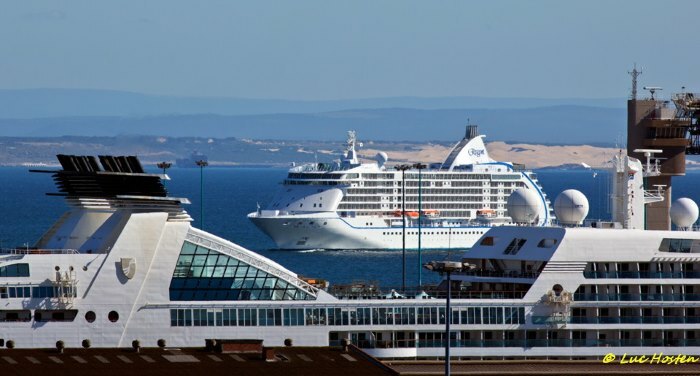 Two cruise ships in Algoa Bay. 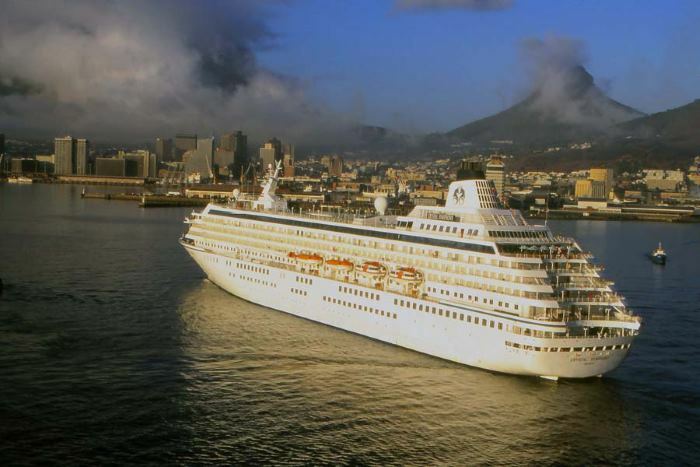 Seven Seas Voyager is framed by Seabourn Sojourn in this scene, taken in 2014 by Luc Hosten. 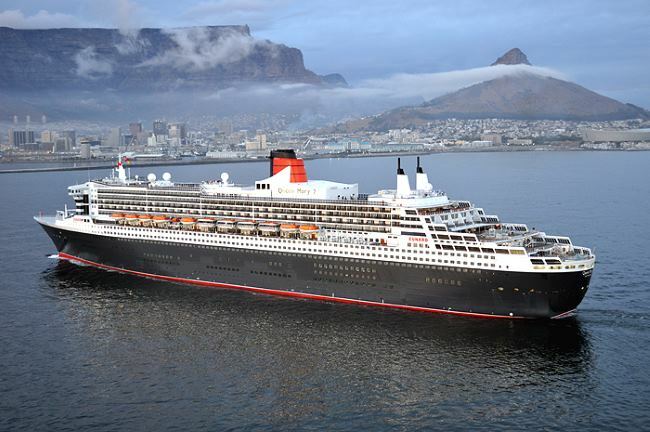 The latter ship is back in South African waters in February. Port statistics for the month of December 2017, covering the eight commercial ports under the administration of Transnet National Ports Authority, are now available. Total cargo handled at all eight ports during December 2017 amounted to 25.854 million tonnes, compared with November 2017 when 25.072 million tonnes of cargo was handled, an expected decrease for the month in question. Transnet said last week that its manganese export facility at the Port of Port Elizabeth will be transferred to the neighbouring Port of Ngqura by October 2023, some six years later than the original projected date of 2017. 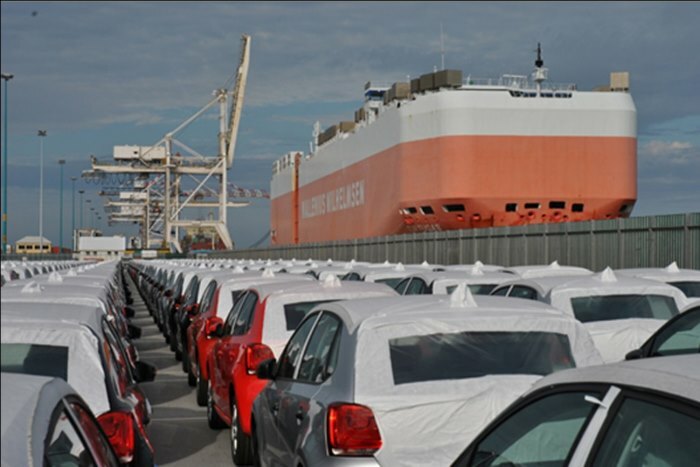 According to Transnet National Ports Authority (TNPA), Port Elizabeth is South Africa’s primary export corridor for manganese mined in the Northern Cape from where the commodity serves as an important catalyst for economic growth and development. Manganese is exported across the globe and is also handled at several other ports. During a site visit on 11 January 2018, Nelson Mandela Bay (Port Elizabeth) Executive Mayor Councillor Athol Trollip said the municipality would continue to cooperate with Transnet to attract greater manganese export volumes through Ngqura, while minimising potential negative impacts on livelihoods and convenience of the community. Responding to recent public concern over manganese dust emissions, Port of Port Elizabeth Manager, Rajesh Dana, outlined a manganese management five-point plan formulated by Transnet SOC LTD.
“We do not dispute the fact that our manganese operation in Port of Port Elizabeth creates an inconvenience to port tenants and residents. However, as a responsible corporate citizen we have superior operational and compliance controls in place to mitigate these negative impacts. Our independent scientific data confirms that the current operations do not pose any medical harm to the health of employees and residents,” he said. * Reviewing controls with particular emphasis on dust suppression systems. * The continued analysis and collation of data relating to air emissions and environmental impacts thereof, with appropriate remediation action. * The establishment of a Hotline to register any public concerns around manganese, which Transnet will use to improve its operations. The telephone number is (041) 507 1910. * Quarterly public engagements with key stakeholders will be held to share information transparently. Dana said Transnet would also continue to employ innovative technologies, seeking guidance from the International Manganese Institute to ensure its operations remained safe and efficient. He added: “Manganese should not be perceived as a poison. It is an essential element in the human body. If a person’s manganese levels are too low, it needs to be supplemented. If too high, it can lead to neurological problems, not respiratory problems. For a healthy body, the balance must be right,” said Dr Prinsloo. 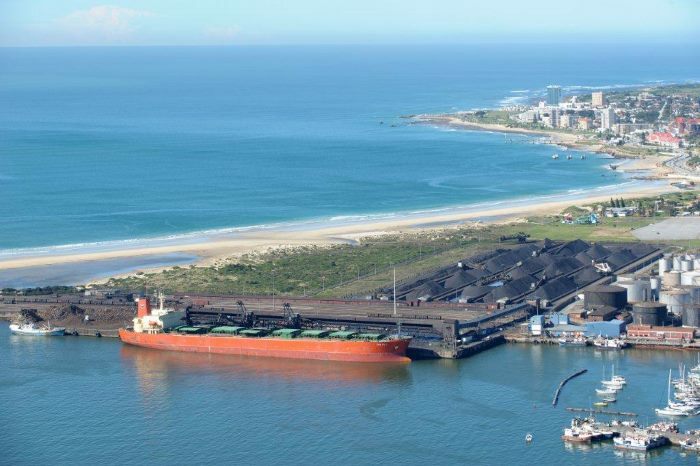 While the total annual throughput capacity of the Bulk Ore Terminal at the Port Elizabeth plant is 5.1 million tons, no more than 250,000 tons of manganese ore is stockpiled at the terminal at any given time. TNPA says that it remains sensitive to the concerns of the community and is constantly assessing methods to improve handling operations with minimal impact on the community and the environment. Manganese is an important contributor to the national economy including the Nelson Mandela Bay Metro, creating large-scale employment and contributing significantly to foreign exchange earnings for South Africa’s development. 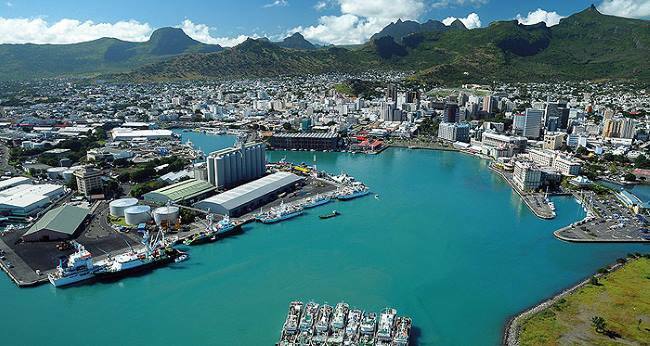 Germany’s Oiltanking GmbH has further expanded its operations in southern Africa with a new storage facility in Matola, Maputo, while expanding its operations in Mozambique by increasing its direct stake in Oiltanking Mozambique to 80% (from 60%). 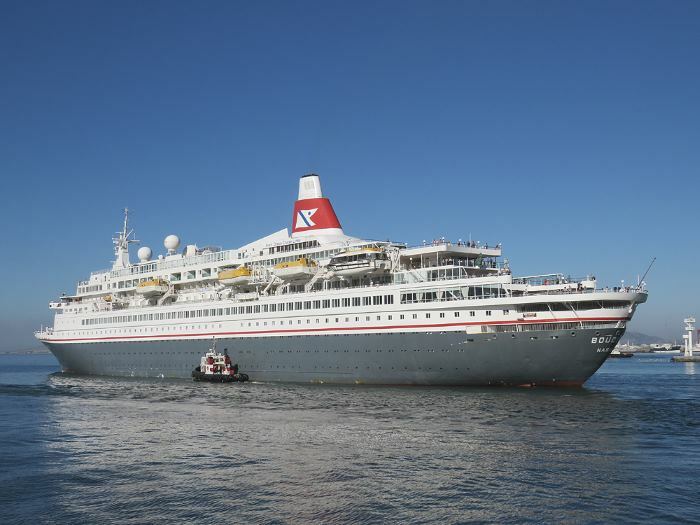 The terminal in Matola received its first vessel on 26 November 2017. 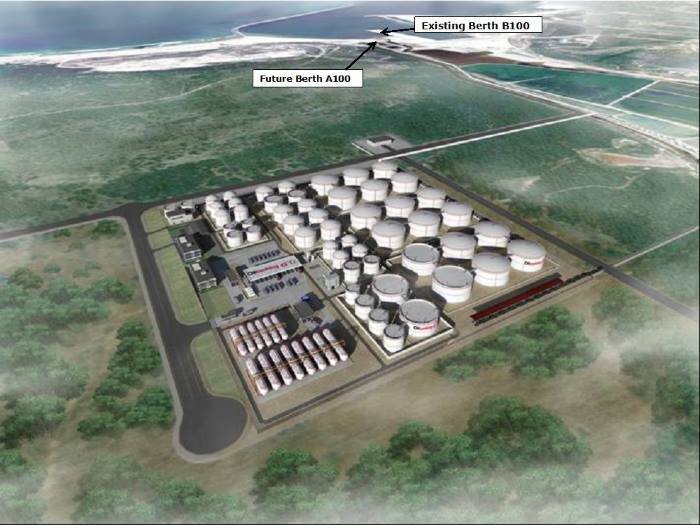 With land available for further development, the company says it may expand its operations beyond the initial storage capacity of 58,600 cubic metres (cbm). 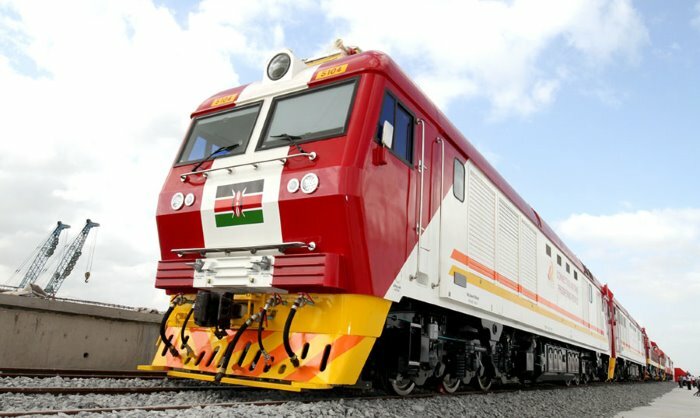 Right on schedule, Kenya’s first standard gauge railway (SGR) freight train departed from the terminus at the port of Mombasa on 1 January, bound for Nairobi, the country’s capital. 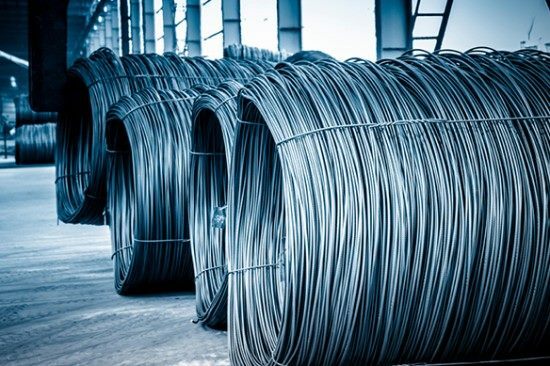 As a result of recent investigations, the US Commerce Department has set anti-dumping duty rates on carbon and alloy steel wire rod imports from South Africa and the Ukraine. There are important lessons Africa can learn from the success of Asia’s developing economies. Arguably the single biggest catalyst that propelled India and Malaysia to high-growth economic status was their successful introduction of transport and logistics corridors, leaving no corner of their countries unconnected. The Malaysian economy was literally transformed by the North-South Expressway, a rail corridor connecting all of the country’s states and pushing across the border into Thailand. Before the Expressway was up and running, Malaysia’s seven states were achieving GDP growth of between 3.9% and 5% in the period from 1989 to 1993. After the expressway started operating, the states’ growth surged to between 7.1% and 7.7% throughout the period from 2000 to 2013. Granted, other factors also came into play, such as Malaysia’s technology-rich economy, but its logistics corridors are key in allowing the transport of labour and interregional trade. The same goes for India, which has 65,000 kilometres of railroads traversing three million square kilometres of land. Compare that to Africa, which has a landmass of 30 million square kilometres but only 66,011 kilometres of railroad – most of it concentrated in coastal areas. The establishment of successful corridors in Africa could trigger a similar transformation on the continent – but only if investors can be persuaded that such corridors would be a safe and sound investment. World Bank investment surveys have repeatedly shown that protection of their legal rights is the overriding concern of investors when making decisions about where to undertake major infrastructure projects. These concerns outstrip all other considerations, including consumer payment discipline (a close second), government guarantees, government efficiency and the judiciary’s independence. Corridor projects can be potentially high-risk investments because they are expensive and typically involve a multiplicity of stakeholders, from lenders, ship owners and rail operators to buyers, ports authorities and governments, and often have a cross-border component that can be difficult to manage. From a coordination perspective, the African Union and the continent’s regional economic bodies would probably be best placed to manage the overall development of such corridors. From the point of view of derisking corridor investment on a contractual level, there is much that an investor can do to build in proper recourse to the courts and secure compensation should things go sour. 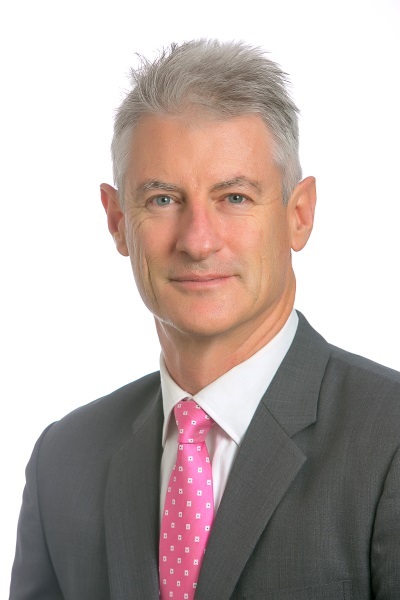 The starting point is to be aware of the challenges around a typical build, operate, transfer (BOT) concession model, where the landlord retains ownership of, for example, the port terminal that is being built. In the full concession model, a major problem is obviously that the operator, lender, sponsor or developer cannot take security over the port infrastructure. In addition to the usual security taken over revenue flows from throughput agreements, the best way to overcome this would be to obtain government guarantees. If these are not forthcoming, investors and lenders could be excused for displaying a healthy scepticism as to the soundness of the investment. Operators should be wary of contracts binding them to certain volumes of traffic using or passing through the facility. For example, eight or nine years ago, coal was riding the crest of a wave, but then the price plummeted. Many traders chose to sit on their coal stocks, hoping prices would pick up. The flow of coal through logistics terminals all but dried up, leaving providers who had agreed to traffic guarantees in a precarious position. Back-to-back arrangements would be a better option than traffic guarantees, enabling providers to escape the vagaries of commodity price fluctuations. Logistics terminals cannot function without infrastructure such as quay walls, which more often than not the operator is expected to pay for through private investment. This infrastructure is not an asset for the operator, and neither does it generate revenue, but it is essential to the operation nevertheless. The operator must ensure that these expenses are appropriately built into the financial model and concession agreement. Similarly, the operator must make provision in the contract for any superstructure (such as locomotives, wagons, tipplers and ship loaders) that it is expected to pay for. For the bankability of a corridor project, pricing to the user is critical. A potential pricing pitfall is the existence of tariff control, which could result in investors severely burning their fingers if the powers-that-be decide to change the tariffs charged at terminals. This happened in Nigeria in 2015 when, in the absence of a ports authority, the shipping council was made the interim regulator. 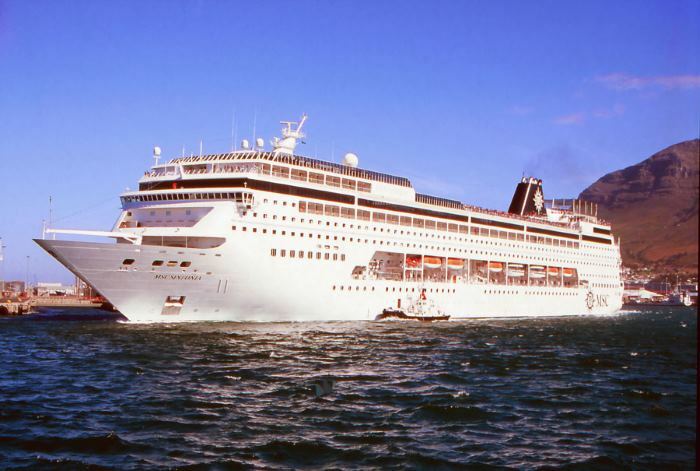 It promptly reduced users’ rates to 2009 levels, plunging port providers into a financial crisis. The key here is to build watertight pricing safeguards into the concession arrangements. There are of course many other contractual issues that operators should be aware of, such as fixed costs versus variable costs, but the biggest sticking point of all is probably the question of compensation on termination of the contract. It is vital to ensure that agreement is reached as to what compensation is payable, to whom and when. Institutional default, such as if the facility is expropriated mid-term for any reason. Provision should be made in the contract for the operator and lender to be fairly compensated for their investment and funding over the duration of the concession period. Operator default, which might arise for instance if traffic to and from the facility dries up and the operator is unable to continue with the concession. Here, it is important to ensure that the lender is adequately compensated, but also that the landlord or grantor of the concession does not make a windfall gain. There should also be a punitive element, in the form of a disincentive such as a discount on full compensation, so that it is not too easy for the operator to just walk away. Force majeure, such as where a war or environmental pollution makes a facility unusable early on in the concession. While it could be argued that such an event is simply “bad luck”, it should not result in the landlord receiving a windfall gain at the expense of the lender and developer, and the risk should be shared on both sides through a fair compensation formula. Handled appropriately, the various contracts and projects that make up a bigger corridor project could help close the logistics gaps that are now so common across Africa, and give investors peace of mind that their legal rights will be protected. As always, the devil lies in the detail. Bowmans is a leading Pan-African law firm. Its track record of providing domestic and cross-border legal services in the fields of corporate law, banking and finance law and dispute resolution, spans over a century. With 400 specialised lawyers, Bowmans is differentiated by its geographical reach, independence and the quality of legal services it provides. The firm delivers integrated legal services to clients throughout Africa from six offices (Cape Town, Dar es Salaam, Durban, Johannesburg, Kampala and Nairobi) in four countries (Kenya, South Africa, Tanzania and Uganda). Bowmans works closely with leading Nigerian firm, Udo Udoma & Belo-Osagie, which has offices in Abuja, Lagos and Port Harcourt, and has strong relationships with other leading law firms across the rest of Africa. It is a representative of Lex Mundi, a global association with more than 160 independent law firms in all the major centres across the globe. Clients include corporates, multinationals and state-owned enterprises across a range of industry sectors as well as financial institutions and governments. Bowmans expertise is frequently recognised by independent research organisations. The firm has been named African Legal Adviser by DealMakers for the last three consecutive years and South African Law Firm of the Year for 2016 by the Who’s Who Legal. Most recently, Bowmans won the Technology, Media and Telecommunications Team of the Year Award at the prestigious African Legal Awards hosted by Legal Week and the Corporate Counsel Association of South Africa in 2017. The firm was also ‘highly commended’ in the African Law Firm of the Year – Large Practice and Litigation and Dispute Resolution Team of the Year categories. 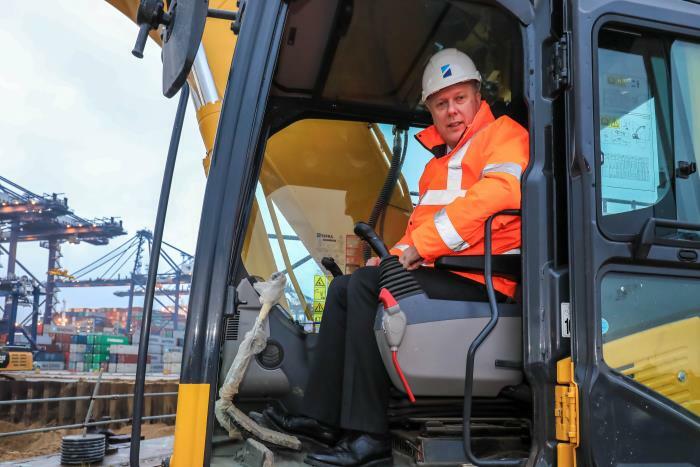 The Rt Hon Chris Grayling MP, Secretary of State for Transport (illustrated), has officiated at a formal ground-breaking ceremony to mark the start of work on the latest phase of expansion at Hutchison Ports Port of Felixstowe. This was reported by the port on 11 January. Approximately 13 hectares of new paved container yard are to be constructed directly behind Berth 9 at the UK’s largest container port. 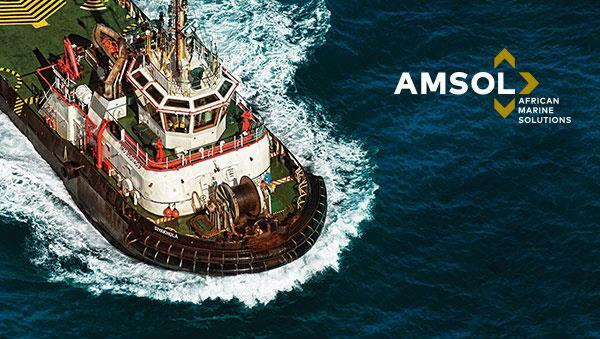 The work will include the reclamation of 3.2 hectares of seabed. The Portsmouth-based Type 23 frigate St Albans was called upon to sail on 23 December and keep watch on the new Russian warship Admiral Gorshkov as she passed close to UK territorial waters. 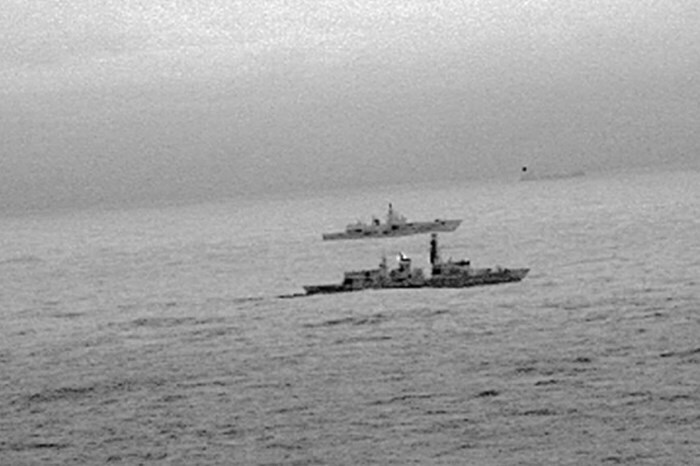 HMS St Albans remained at sea on Christmas Day to monitor the Russian frigate, keeping track of her activity in areas of national interest. 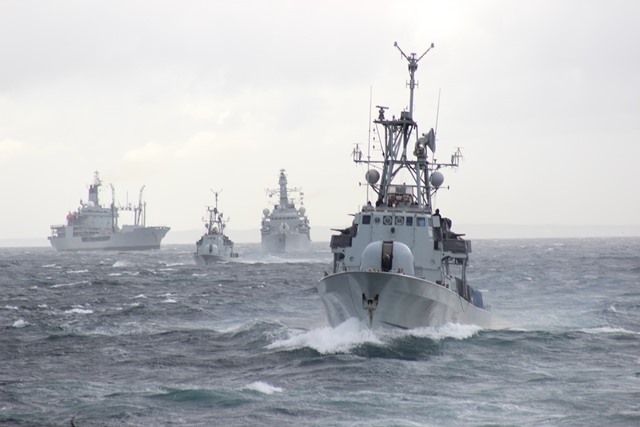 It was planned that the frigate would return to Portsmouth on 26 December and remain ready for very short notice tasking over the holiday period. According to the Governmental Decree No.028/CAB/VPM/MIN/TC/2017 issued on 7 August 2017 by the Ministry of Transport of the Democratic Republic of the Congo, CMA CGM wishes to inform its customers on the application of a new governmental “Port Tax” surcharge. (*) FMC Corridor date of application is 26 January 2018 subject to FMC filing. “A Happy New Year! There is a glow of cheer and optimism in the very words ‘New Year.’ The old year, with its anxieties and worries, is over. It too brought happy days and sunshine, and in memory we must cherish the bright places.